I’ve been a good girl! True to my word from my last post, I’ve been staying offline more, getting caught up with things. And one of the first places I turned to was the garden. Oh goodness. It needed me. And it wasn’t until I got out there that I quickly realized, I needed it just as much. 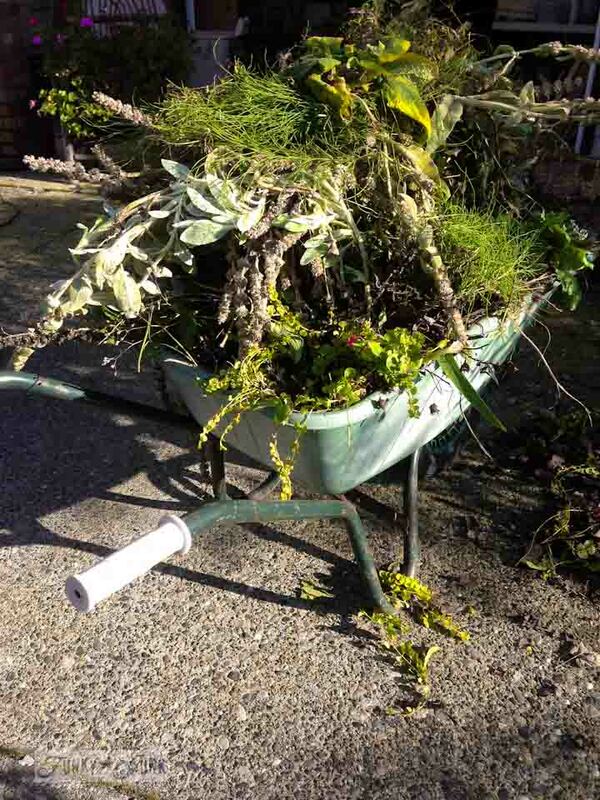 Gardeners know how therapeutic gardening really is. Ok, lighter gardening is. Heavy duty gardening is very hard work. My little yard is still beyond what I can comfortably keep up with by myself, but I can do pretty much everything myself in my own time. But a little more transpired during the garden cleanup than I anticipated. As I was yanking weeds and piling up clippings, the amount that had to be cleaned up was a little staggering. What I thought would be a quick little afternoon among a few weeds turned into a main event. This is exactly what happens in life when you let things slide. Or choose to forget about them. The workload doesn’t go away… it accumulates. Just like a garden gone wild. 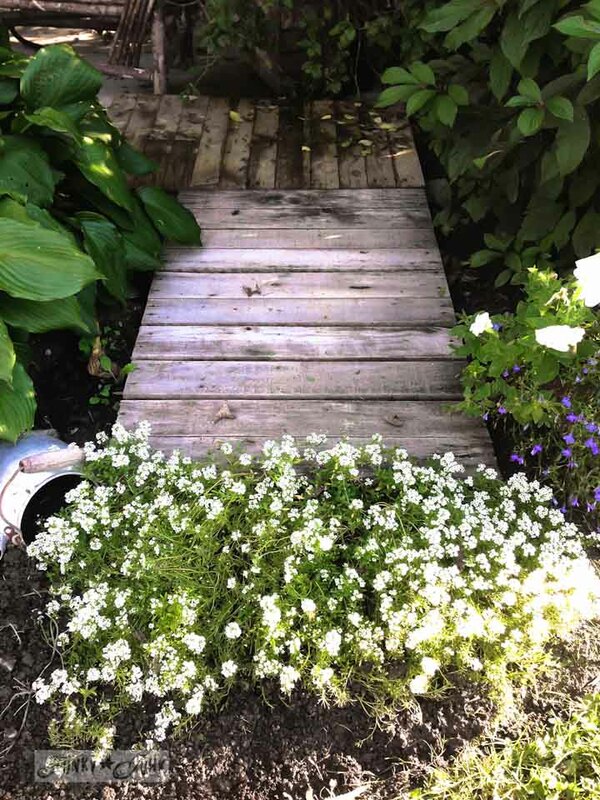 Click here to see the pallet walkway project. But there is good news. When you focus back on what you need to, your yard is forgiving and offers you a second chance. 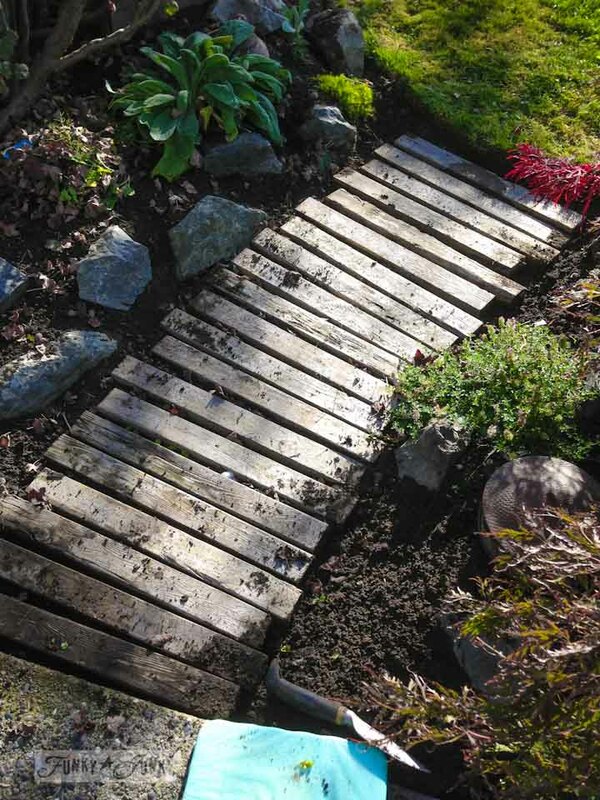 Click to view the 2 pallet walkway. Flowers will keep blooming if you keep doing your part. Thank goodness for second, third and even fourth chances! This little garden gone wild therapy session did lots of good. My yard is in reasonable order once again. 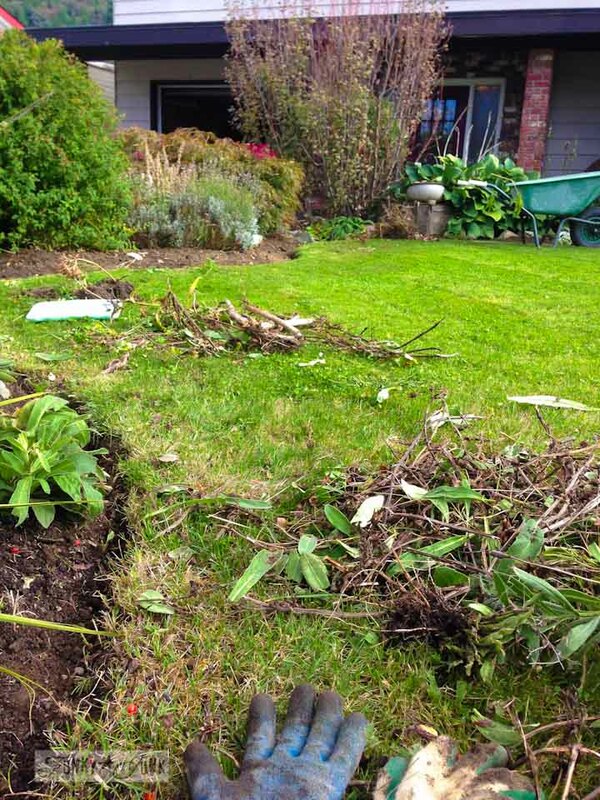 The lawn is neatly cut, the flowerbed edges trimmed, and every weed has been pulled. And I plan to keep on that course, for when I take care of things that need me more than say… Pinterest, I know my world will thank me. My apologies for using my iPhone rather than the fancy camera and for not capturing anything truly Pinterest worthy. Yes, so very proud of you for getting it done. Keep up the great work! 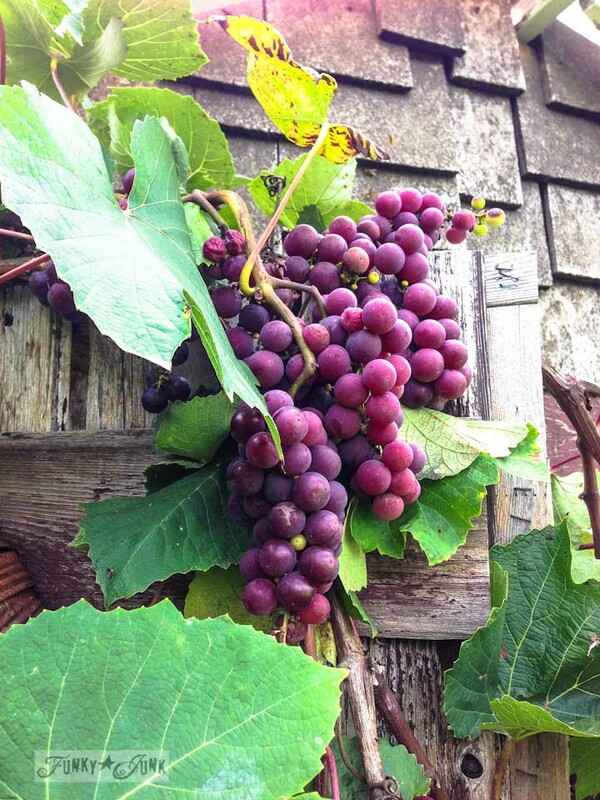 Call me crazy , but I think the iphone shots look great…The Grape shot is AMAZING! 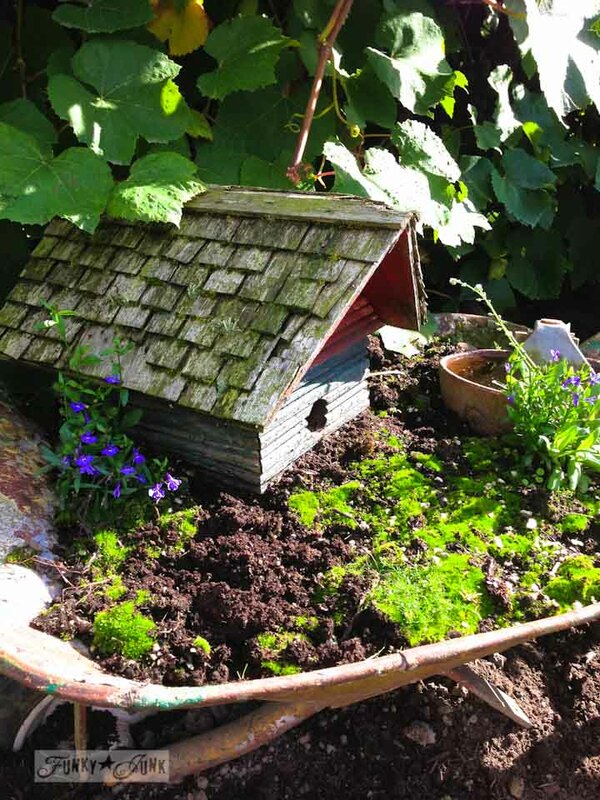 You have a beautiful garden….nice work! That’s exactly what I need – some garden therapy – nothing soothes my soul more than that. My garden needs it too!! But not today. Today is an indoor day with temperatures in the mid-90’s here in Southern Ontario – it’s hot and humid out there. What happened to fall? Well done Donna. I’ve returned to my Vancouver garden gone wild after two months in England where, prior to me getting there, my English garden gone wild too. 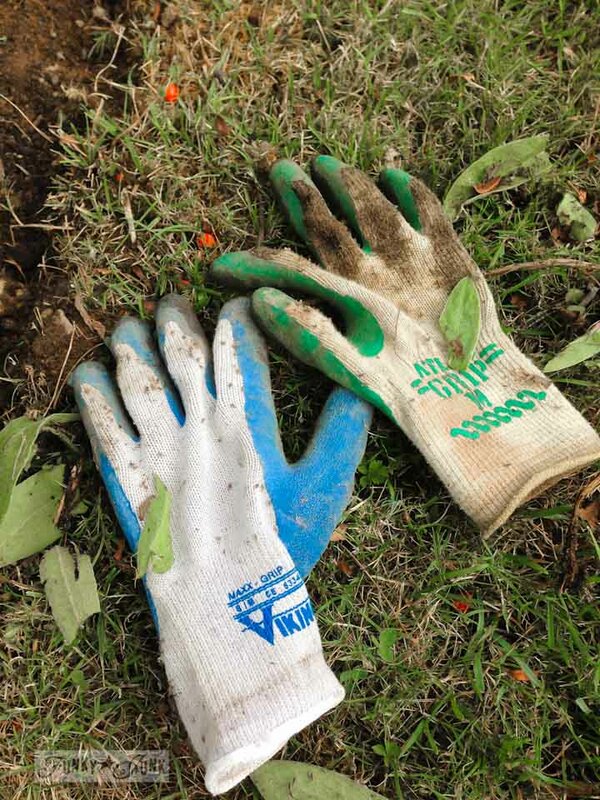 Don’t talk to em about gardening…lol! Still work to be done in Van but yesterday two garbage cans and three garden bags went out for recycling. Whew! Trisha, I feel exactly the same way!!!! Gardening is wonderful therapy and has been for years for me. You have a lovely piece of property and are an inspiration to so many. Beautiful!!! Thank you for sharing your garden and your thoughts! Yes. Very Proud. Though I must say, I’m surprised that your table and chairs (last shot) are not a little bit more “junky”!! Now, make sure you are getting to bed at a decent hour so you will be well rested, too! Um…can you come over to MY house? Well, I found the last shot of your backyard to be totally pinnable…added it to my “places i want to be…” board! Just lovely! Love that you spent time in your garden – it looks beautiful ! You’ve inspired me to get out and work on my own garden. Thanks for the nudge! I don’t know…I think that second pallet path picture is pretty nice. What a cute idea. I will have to go back and check that out. And thanks for reminding everyone to unplug a little more and live. I find that even though I craft at home, I am contantly checking my etsy stats and email, interrupting my train of thought. It’s an obsession we all have to keep tabs on, for our own well being. So cute! Makes me want to be there! I’m very proud of you! The yard and garden looks great. Now only if your enthusiasm would spell over to motivation for me … my garden is way worse than your was … needs serious help. I haven’t even touched it this year due to circumstances beyond my control, but it is definitely feeling neglected. Great job! Maybe not “pinterest worthy”, but inspiring non the less. Thanks for that! I hope you were also recalling the vacation time you spent with your son and know that was more important than keeping up with the garden. He will be off onto his life and the garden will still be there. Love this! Gardens are so beautiful but a delicate balance of the wild and the controlled. Good work! Donna, you did good, Girlfriend ! It’s still hard for me to get out there and do that kind of work. Most days it is nearly 100 degrees here with about 90 percent humidity! UGH ! Fall cannot get here soon enough! I don’t know why you need to get away to experience nature. 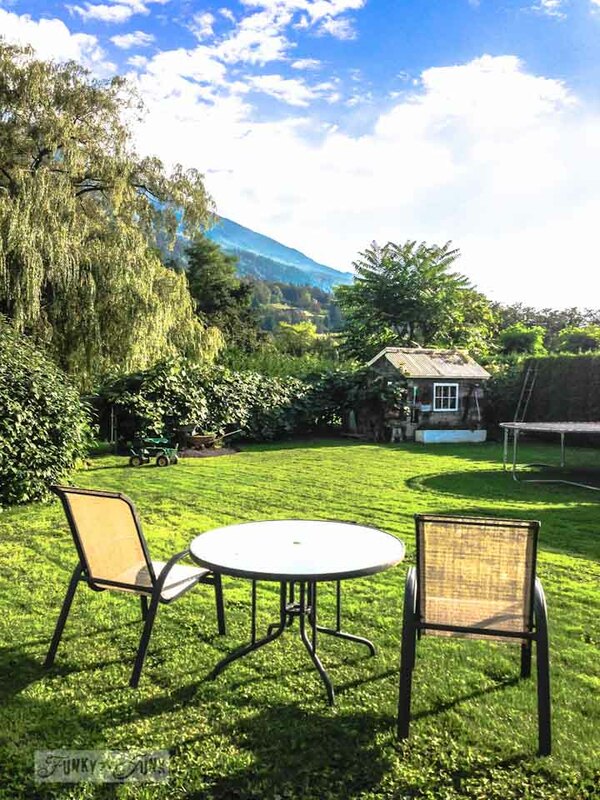 The view from your garden is heavenly! But the places you’ve been lately are wonderful. I’ve loved reading about your little side trips in the RV. It’s always nice to get home though, isn’t it ? Looking forward to seeing your next project.